The top seeded Atlanta Falcons advanced to today’s game with a thrilling victory over the Seattle Seahawks in the final seconds of last week’s game. The San Francisco 49ers ran all over the Green Bay Packers to advance to the NFC title game. 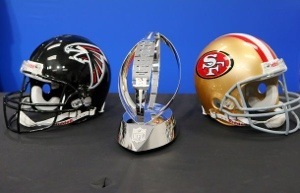 This matchup pits the high-powered Falcons offense against the physical 49ers defense. The Niners now possess a electrifying offense, behind Colin Kaapernick. The read-option has given teams fits, and that doesn’t bode for the sometimes suspect Falcons defense. I expect Matt Ryan to have anther big day feeding his two stud receivers and hall of fame tight end Tony Gonzalez. With that said, I don’t think it’ll be enough to stop San Francisco. 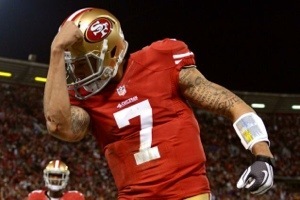 Kaepernick, Crabtree and the Niners will be flexin’ out of the Georgia Dome as NFC Champions, and on to the Super Dome for Super Bowl XLVII.